Humpback whales are playing in the bay. There are at least three, if not four, of the massive creatures. It’s hard to tell, since they don’t breach the water at the same time. But there seems to be two adults—one with a much whiter tail—and possibly two calves, who are learning how to slap the water as they leap out of it. Most people don’t seem surprised to see them. After migrating to the warmer waters in the north to mate and give birth, the whales are returning to the cold Antarctic waters to feed. But this is the first time you’ve seen the whales. It’s also your first time on Tofo Beach. It’s gorgeous. The beach runs eight kilometers from a rocky point in the south up the Ponta da Barra peninsula. 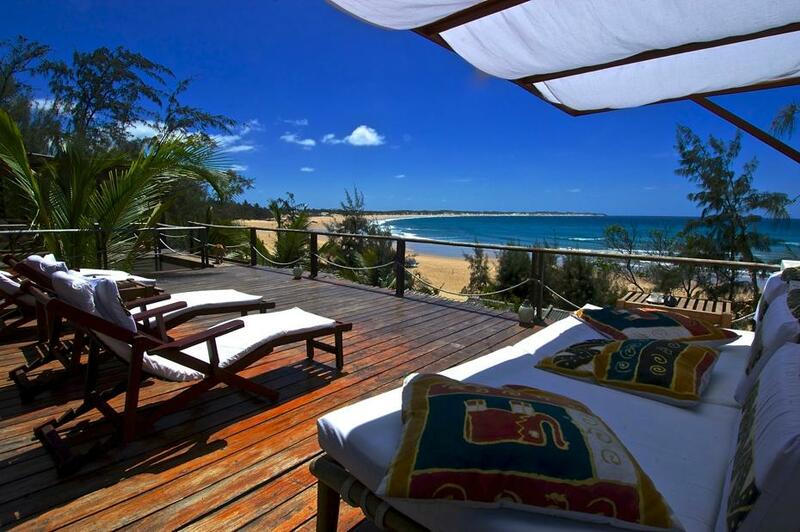 Soft sand borders the Indian Ocean along the southeastern coast of Mozambique. Small hotels, dive centers, and sandy beach bars line the beach. New surfers get a feel for the boards on the sand before heading into the waves. Deep reefs, manta rays, and whale sharks live in the azure water. Plus, from May to October, humpback whale sightings happen regularly. No wonder the small fishing village has turned into one of the most popular beaches in all of Africa. Despite its popularity, you easily found a respite from the crowds at Baia Sonambula. A French couple fell in love with the Portuguese-style beach house years ago. It already had cool stone floors and whitewashed walls. It’s been nearly 10 years since they opened the chic guest house decorated with rattan furniture and local art. They’ve added more bungalows, garden lounges, and sea-view terraces since then. You’re watching the humpback whales from the breakfast terrace. Almost everything for breakfast is homemade at Baia Sonambula. The yogurt, the cinnamon-and-mango jam, the muffins and the pastries, and even the peanut butter, since peanuts grow nearby, are made by hand. The juice is freshly squeezed. Omelettes and pancakes are cooked to order. Later in the day, fresh-mint-and-ginger iced tea and still-warm goodies—one slice of cake won’t ruin your bikini body—are set out. While the ingredients for gin and tonics are always available at the honor bar. The hidden hammock in the overgrown garden is the perfect spot to sip one when you need a break from the sun. Your dipping pool is another good spot. 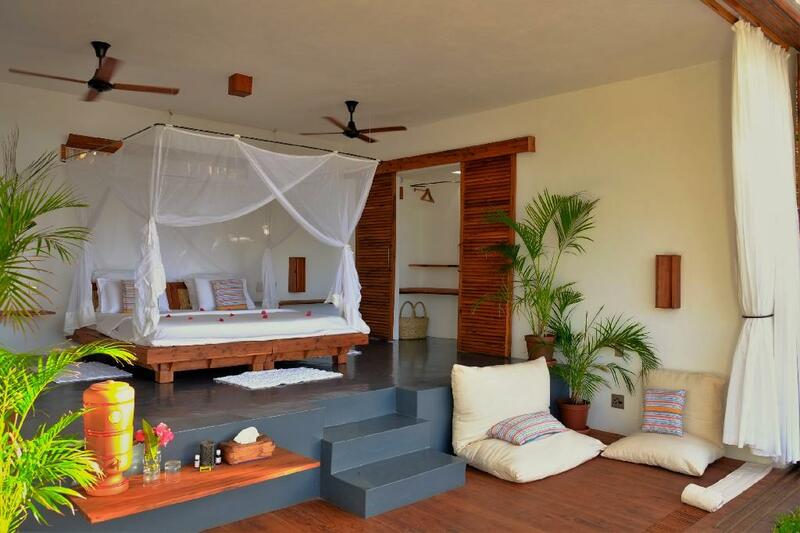 You’re staying in Bungalow 4, the newest of the sea-view bungalows. The airy bedroom has a king-size bed, lots of pillows, and sliding doors that open to a terrace that’s even bigger than the room. There’s an open roof with a waterfall shower and green plants in the bathroom. Towels and an umbrella are ready when you want to set out for the beach. But back to that pool. You can read or drink a cocktail from this quiet spot. More often than not though, you just stare at the coast and scan the water for whales. Like the humpbacks, you might keep returning to this beautiful beach.